Replacement LCD Touch Screen Bonding Frame Adhesive for iPad Pro 2nd Gen 10.5"
IPad Air 2 A1566 A1567. 1 x iPad Air Adhesive Stickers. If you have repairing your phone this adhesive tape will be the perfect solution for your phone to make it new. 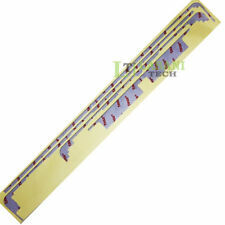 The adhesive tape provides strong and tough adhesion. Apple iPad Pro 12.9 (2015) / A1584 (Wi-Fi Only) / A1652 (Wi-Fi Cellular) / iPad Pro 1st Gen. If you have repairing your phone this adhesive tape will be the perfect solution for your phone to make it new. 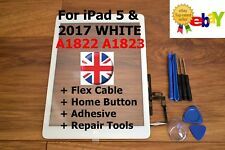 For Apple iPad Air 2 LCD Assembly / Digitizer Bonding Adhesive Set - OEM. This is the adhesive that bonds the LCD assembly to the rear chassis, double sided strong black adhesive. Compatibility : Apple iPad Air 2. IPad 2017 (A1823 / A1822). The padding is designes not only to insulate the LCD but also to help prevent dust ingress. iPad Air (A1474 / A1775 / A1476). We work very hard to ensure that your back up and running as quickly as possible, we understand that it may just be a phone or tablet but we are all pretty lost without them! Apple iPad Pro 12.9" 2nd Generation A1670 and A1671. Apple iPad Pro 12.9 (2015) / A1584 (Wi-Fi Only) / A1652 (Wi-Fi Cellular) / iPad Pro 1st Gen. If you have repairing your phone this adhesive tape will be the perfect solution for your phone to make it new. Compatiblity: For Apple iPad 3 (Wifi) 16, 32 & 64GB. For iPad Model Number: A1416. Apple iPad Pro 10.5 (2017) / A1701 (Wi-Fi Only) / A1709 (Wi-Fi Cellular). If you have repairing your phone this adhesive tape will be the perfect solution for your phone to make it new. The adhesive tape provides strong and tough adhesion. Compatibility: Apple iPad Pro 12.9" and 12.9" second generation. Double sided tape to bond the LCD assembly to the iPads chassis. Manufacturer: OEM. We work very hard to ensure that your back up and running as quickly as possible, we understand that it may just be a phone or tablet but we are all pretty lost without them! Compatibility : iPad Air 2. We work very hard to ensure that your back up and running as quickly as possible, we understand that it may just be a phone or tablet but we are all pretty lost without them! Replacement LCD Assembly Digitizer Bonding Adhesive Set For Apple iPad Pro 9.7"
For iPad Pro 9.7" - LCD Assembly / Digitizer Bonding Adhesive Set - OEM. This is the adhesive that bonds the LCD assembly to the rear chassis, double sided strong adhesive. Compatibility : Apple iPad Pro 9.7". Apple iPad 3 3G & Wi-Fi. Apple iPad 3 Wi-Fi. Apple iPad 4 3G & Wi-Fi. Manufacturer: OEM (3M). Apple iPad 4 Wi-Fi. We work very hard to ensure that your back up and running as quickly as possible, we understand that it may just be a phone or tablet but we are all pretty lost without them! If you have repairing your phone this adhesive tape will be the perfect solution for your phone to make it new. The adhesive tape provides strong and tough adhesion. Adhesive Tape. 5 x iPad Air Adhesive Stickers. IPad Air 2 2018 A1893. If you have repairing your phone this adhesive tape will be the perfect solution for your phone to make it new. The adhesive tape provides strong and tough adhesion. 5 x iPad Air Adhesive Stickers. If you have repairing your phone this adhesive tape will be the perfect solution for your phone to make it new. The adhesive tape provides strong and tough adhesion. Adhesive Tape. Apple iPad mini 1 2 3 4. If you have repairing your phone this adhesive tape will be the perfect solution for your phone to make it new. The adhesive tape provides strong and tough adhesion. Adhesive Tape. 1 x iPad Air Adhesive Stickers. · iPad 6 A1893 and A1954. (iPad 5 LTE, iPad 5 Wi-Fi, iPad 6, iPad Air LTE ,iPad Air Wi-Fi). If you have repairing your phone this adhesive tape will be the perfect solution for your phone to make it new. (iPad 5 LTE, iPad 5 Wi-Fi, iPad 6, iPad Air LTE ,iPad Air Wi-Fi). If you have repairing your phone this adhesive tape will be the perfect solution for your phone to make it new. The adhesive tape provides strong and tough adhesion. Model: A1822, A1823. Screen Type: Touch Screen Digitizer. Colour: White. Screen Size: 9.7”. Such as Spain, France, Portugal, Netherlands, Ireland, Greece etc. Part: Apple iPad 3 digitizer assembly. Apple iPad 3 digitizer adhesive. Apple iPad 3 Cellular & Wi-Fi. Apple iPad 3 Wi-Fi. Assembly includes We work very hard to ensure that your back up and running as quickly as possible, we understand that it may just be a phone or tablet but we are all pretty lost without them! Part: Apple iPad 2 digitizer / touch screen assembly. Touch screen / digitizer. Bonding Adhesive. Manufacturer: After-market, made to Apple specification. Assembly includes We work very hard to ensure that your back up and running as quickly as possible, we understand that it may just be a phone or tablet but we are all pretty lost without them! Part: Apple iPad 2 digitizer / touch screen assembly. Bonding Adhesive. Touch screen / digitizer. Assembly includes We work very hard to ensure that your back up and running as quickly as possible, we understand that it may just be a phone or tablet but we are all pretty lost without them! Digitizer adhesive. Apple iPad 3 (3rd generation) 3G & Wi-Fi. Apple iPad 3 (3rd generation) Wi-Fi. Apple iPad 4 (4th generation) 4G / LTE and Wi-Fi. Apple iPad 4 (4th generation) Wi-Fi only. We work very hard to ensure that your back up and running as quickly as possible, we understand that it may just be a phone or tablet but we are all pretty lost without them! Part: For Apple iPad 2 digitizer / touch screen assembly. Bonding Adhesive. Touch screen / digitizer. Assembly includes We work very hard to ensure that your back up and running as quickly as possible, we understand that it may just be a phone or tablet but we are all pretty lost without them! Part: Apple iPad Air / iPad 2017. iPad Air (A1474 / A1775 / A1476). iPad 2017 (A1823 / A1822). Apple Part Number: 821-1894 or compatible. We work very hard to ensure that your back up and running as quickly as possible, we understand that it may just be a phone or tablet but we are all pretty lost without them! Part: For Apple iPad 3 digitizer assembly. Apple iPad 3 digitizer adhesive. Apple iPad 3 Cellular & Wi-Fi. Apple iPad 3 Wi-Fi. Assembly includes We work very hard to ensure that your back up and running as quickly as possible, we understand that it may just be a phone or tablet but we are all pretty lost without them! For Apple iPad Air (1st Generation). Part: Apple iPad 2 digitizer / touch screen assembly. Touch screen / digitizer. Bonding Adhesive. Manufacturer: After-market, made to Apple specification. We work very hard to ensure that your back up and running as quickly as possible, we understand that it may just be a phone or tablet but we are all pretty lost without them! If you are having trouble with either of these components, this is the part you need to repair your iPad. Compatibility: For Apple iPad 2 (3G Version) 16, 32 & 64GB. Part Number: 821-1377-A. For Apple Ipad Pro 9.7 Lcd - models a1673, a1674, a1675. Professional installation required. We are based. Model: A1822, A1823. Screen Type: Touch Screen Digitizer. Colour: Black. Screen Size: 9.7”. Such as Spain, France, Portugal, Netherlands, Ireland, Greece etc. The padding is designes not only to insulate the LCD but also to help prevent dust ingress. Apple iPad 4 (Also know as "New iPad"). Apple iPad 2. Apple iPad 3. We work very hard to ensure that your back up and running as quickly as possible, we understand that it may just be a phone or tablet but we are all pretty lost without them! 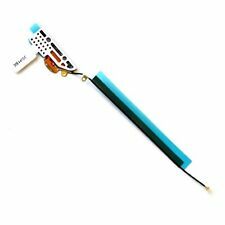 If your iPad 2 can't get a decent wifi signal or no signal at all then the antenna may be faulty. For Apple iPad 2nd Generation. This item is located in the UK and will be dispatched within 24 hours of receiving your order. Compatibility: Apple iPad Pro 10.5" A1671 / A1709. Double sided tape to bond the LCD assembly to the iPads chassis. We work very hard to ensure that your back up and running as quickly as possible, we understand that it may just be a phone or tablet but we are all pretty lost without them! 5 out of 5 stars - Replacement LCD Touch Screen Bonding Frame Adhesive For iPad Pro 2nd Gen 10.5"
1 product rating1 product ratings - Replacement LCD Touch Screen Bonding Frame Adhesive For iPad Pro 2nd Gen 10.5"
Apple iPad Mini. Apple iPad Mini 2nd generation. We work very hard to ensure that your back up and running as quickly as possible, we understand that it may just be a phone or tablet but we are all pretty lost without them! 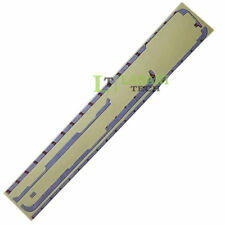 Apple iPad 2 3M Digitizer Mid Frame Adhesive Strip. Adhesive Strips to stick back your iPad 2 Digitizer to the housing Please note these are only for the Apple iPad 2 A 8 Piece Toolkit is also supplied. Bring your iPad back to Life!. IPad Air 2 2018 A1893. If you have repairing your phone this adhesive tape will be the perfect solution for your phone to make it new. The adhesive tape provides strong and tough adhesion. Adhesive Tape. 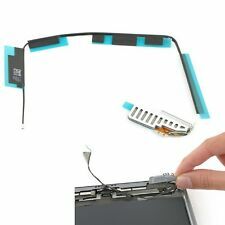 For Apple iPad 2 / 3 /4 3M - Touch Screen Digitizer Bracket Surround 3M Adhesive - OEM. We work very hard to ensure that your back up and running as quickly as possible, we understand that it may just be a phone or tablet but we are all pretty lost without them! Apple iPad 2 3G & Wi-Fi. Apple iPad 2 Wi-Fi. We work very hard to ensure that your back up and running as quickly as possible, we understand that it may just be a phone or tablet but we are all pretty lost without them!